This is a fast-paced, thrilling story that has a woman who takes no prisoners and an alpha male who tries as hard as he can to resist his urges to protect his woman. Levi is the main leader for a group of men who go in and gather intelligence, rescue people, and help people defect. They are ex-military, normally. However, when his assignment is to integrate a new member in to his squad, Levi is less than thrilled. Jina is, at heart, a computer geek. She is amazing at her job, but now that she has to leave the safety behind her desk for field operations, she knows it's either get through it or quit... she's not a quitter. Despite having a grueling training schedule and a group of men who she's not sure about, Jina bites the bullet and plows through. The love story in this thriller is minor, but enough to keep you interested. While some aspects of their relationship were somewhat strange and predictable, it wasn't a prominent enough part of the story to distract me. I do wish that there were more after, but hope that there will be more books for each of the GO-team members. Jina Modell is a fabulous kickass heroine. The civilian computer programmer who finds herself inserted into a black ops paramilitary team as a drone operator is fierce, resilient, and very, very clever. The strength of this story is the brilliant characterisation and the graphic detail of Jina’s brutal experiences with her team. Each of Jina’s team members comes to life vividly as they bond during brutal training exercises and terrifying live missions. I do have a few issues with the story itself. Beyond Jina’s experiences, the book dips into a wider story about a congresswoman a few times. We don’t really get enough of this story for it to make a whole lot of sense and I felt it detracted from Jina and Ace’s story. Also, the pacing doesn’t quite work. Far too much time is spent on Jina’s training. I enjoyed this part of the story but because of the emphasis on her training, the ending didn’t quite work for me. The romance in this story feels forced and again, the pacing is off. I loved Jina’s fierce independence and the romance just seems to weaken her as a character. There are a few sizzling moments between Ace and Jina but after so long pining after Ace, the ending feels abrupt and far too hurried. I love reading about women like Jina and I really enjoyed the action/adventure aspect of this story. I’m just not sure that this works as a romance. Linda Howard is the award-winning author of many New York Times bestsellers, including Up Close and Dangerous, Drop Dead Gorgeous, Cover of Night, Killing Time, To Die For, Kiss Me While I Sleep, Cry No More, and Dying to Please. She lives in Alabama with her husband and two golden retrievers. 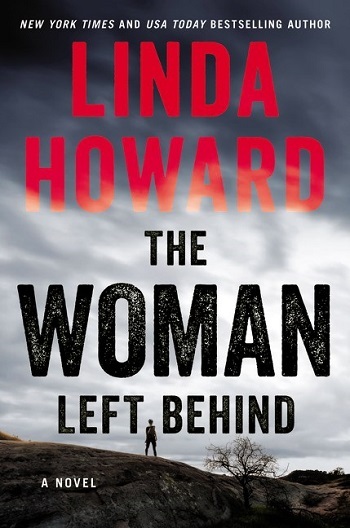 Reviewers on the Wicked Reads Review Team were provided a free copy of The Woman Left Behind by Linda Howard to read and review.